CityLink is the public, bus transportation company serving Peoria, East Peoria and Pekin. Methodist College and the Methodist College Housing complex are served by CityLink Bus Route #16 Northwest Express. Access to the campus is available from the bus stop on Orange Prairie Rd., next to HGS, or the bus top on N. Academic Drive. Click here for CityLink route information. Individuals needing bus service to UnityPoint Methodist Hospital from Methodist College will take the #16 Northwest Express to the Northwoods Mall area and transfer to the #10 Sterling or the #3 Parkview to get off on Hamilton Boulevard, or the #5 Main to get off on Main Street. Please inform the driver on the #16 Northwest Express that you need to transfer in the Northwoods Mall area. Individuals needing to go to UnityPoint Proctor Hospital from Methodist College will need to take the #16 Northwest Express to the downtown CityLink Transit Center and transfer to the #4 Knoxville. For schedule and route information call CityLink at (309) 676-4040. For information on other CityLink services visit www.ridecitylink.org. 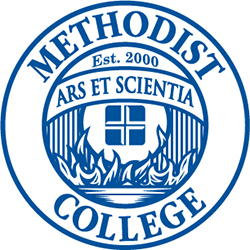 Methodist College is pleased to offer the CityLink Semester Pass for sale to students. The Semester Pass offers Methodist College's students unlimited rides for the entire semester on any CityLink bus. The CityLink Semester Pass must be purchased through the Methodist College Bursar's office and the student must present a valid Student ID (or valid driver's license) and a current Class Schedule. The Semester Pass is not available on CityLink buses or from CityLink offices. The CityLink Semester Pass is available through the Methodist College Bursar's Office. The Semester Pass will be sold for $100 per semester (plus a $2.50 service charge to cover the cost of the thicker bond paper). This pass will be good for January 1 - May 31 for the Spring Term and August 1 - December 31 for the Fall Term, as indicated on the pass. (Summer students may purchase the CityLink 30-Day pass which is available for purchase at CityLink offices. Students must complete the order form and pay a $20 deposit at the time of ordering the pass. Once the pass is available for pick-up from the Bursar's Office, the balance may be paid using check or credit card in accordance with college policies. Semester passes may be charged to Financial Aid, if funds are available. Please discuss this option with the Bursar. The Semester Pass will not be available after February 1/September 1 for a given semester. Students may only purchase one Semester Pass per semester. Semester Passes that are lost or destroyed are not able to be re-issued. All CityLink Semester passes are non-transferable. Students found to be transferring their pass to another student or to a non-student may have the pass revoked and the privilege of purchasing a Semester Pass suspended. Students may not return a Semester Pass for a refund. Students who withdraw from courses are not required to return the bus pass but may be responsible for repaying charges if required by financial aid repayment.